With a capital program that averages some $40 million per year, the California Institute of Technology’s robust research component attracts some of the world’s most outstanding faculty to its Pasadena campus. And yet, Caltech’s project management and communication protocols related to construction management were often lacking. 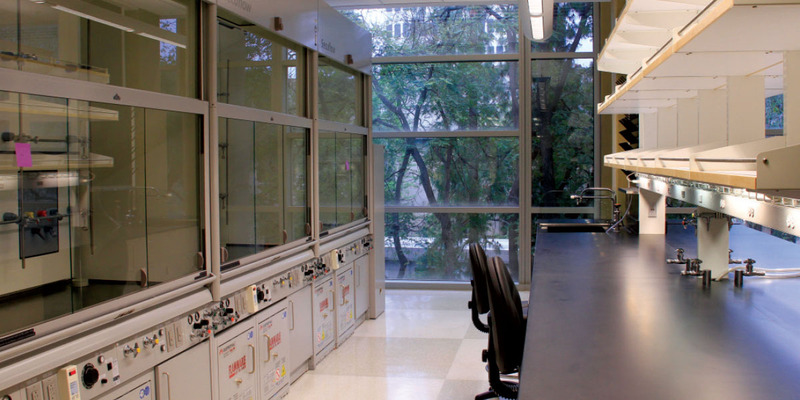 With the priority of timely delivery of renovated laboratory space for new faculty, this was a major issue—resulting in an on-time delivery rate of only 40 percent in 2008. Caltech, on average, adds four new faculty per year, with each requiring a new laboratory, ranging from 1,000 to 3,500 square feet. The hiring process includes agreement on arrival and lab-completion dates, which drive design and construction deadlines. When the target date is missed, the university suffers a “transition loss” for the time that a new faculty member is ready to do research, but the laboratory is not ready. In 2008, project managers applied their own processes and schedules—using multiple reports and spreadsheets that were hard to track. In addition, an ineffective communication process caused delays and frustration. For example, several separate groups worked with new faculty members on their transitions and laboratory projects, often leading to miscommunication and unmet expectations. The team began a robust process improvement initiative in 2009, including establishment of metrics and communication protocols. The effort has resulted in nearly 100 percent on-time delivery of laboratory space, increasing trust and cooperation among academic division and facilities staff. On-time completion of new or refurbished laboratories for incoming Caltech faculty reached 100 percent in FY13 and FY14. A major part of the process improvement initiative was selection of project management software. After considering several providers, the team chose e-Builder—and then dug in to begin the real work of software implementation. Reviewing software systems. One consideration had to do with determining how e-Builder would work with existing systems, and deciding what portions of the suite of tools to implement initially. The team agreed to implement most of the modules for all projects starting the next fiscal year and then defined a software integration approach. With those parameters in place, six Caltech staff worked collaboratively with two e-Builder implementation specialists to configure the company’s software tool. At key decision points, the team would brief the entire design and construction group on status and seek input. With this cooperation, implementation took less than 60 days. Establishing a design-build process. The remainder of the design and construction staff worked on process refinements. Since the age of some of the buildings complicates renovation, one decision was to develop a design-build contracting process, which allows all team members to arrive on site and become engaged from the start. The group determined how best to configure the space based on existing conditions—vastly reducing unforeseen developments that result in change orders. Soft demolition becomes part of the design phase, greatly shortening project duration. Improving communication protocol. The academic divisions and provost’s office agreed to keep the design and construction team completely informed about new faculty hires, allowing almost immediate reaction and planning once a new faculty member accepts a position. The changes involve mutual trust and cooperation, and result in a nine-month completion time frame as the norm for laboratory renovation. Caltech put the communication protocols in place by 2010, and completed the e-Builder implementation in early 2011. In FY12, 10 of 11 new faculty laboratories were completed on schedule, with the last one late by only one month—with no impact on research. In FY13 and FY14, all new faculty laboratories were completed as promised with the required functionality. Evolving the process for new faculty laboratory projects has been important in the institution’s ability to attract and retain scientists, removing one potential barrier for faculty when considering accepting an offer at Caltech. SUBMITTED BY Kenneth Hargreaves, senior director, facilities design and construction, California Institute of Technology, Pasadena, California; and Ron Antevy, president and chief executive officer, e-Builder Enterprises, Plantation, Florida.